On December 24, 2016, the UN Security Council voted on one of its routine resolutions (this one numbered 2334) condemning Israel. What made this one unusual was that, for the first time in eight years, the Obama administration reneged on its oft stated commitment that it “has Israel’s back,” and it abstained on the vote. As a permanent member of the Security Council, the US has the power of veto and its abstention therefore allowed the resolution to pass. In the days following the resolution, passions were aroused and a lot of things were written and said that were soon revealed to be either inaccurate or incomplete. Let’s take a look at some of them and see what we can learn from the episode. How bad is the resolution? You can read the full text of the resolution here and it’s certainly bad. It perpetuates the assumption that it’s only Israel that is required to do anything. It specifically names Israel as the villain of the story and insists that continued building over the “Green Line” is not only responsible for the lack of progress in peace negotiations but is also illegal. It makes no specific critique of the actions of the Palestinian Arabs, contenting itself with a reminder to “the Palestinian Authority Security Forces to maintain effective operations [against] terror.” It also condemns “all acts of violence against civilians, including acts of terror, as well as all acts of provocation, incitement and destruction” without specifying that it is the Palestinian Authority and other Palestinian groups that are responsible for such murderous acts. While paying lip service to the need for solutions to proceed from direct negotiations between the parties, the resolution is, in and of itself, an attempt to impose a solution by an outside party. So it’s bad, but not as bad as some early reactions claimed. Specifically, some critics asserted that it made the acts of individual Israelis (residents of the Territories, military and government personnel) “criminal” and subject to prosecution. The resolution does nothing of the sort. The UN Charter (the world body’s constitution) consists of various chapters. Resolutions are adopted under specific chapters, usually Chapter VI, occasionally Chapter VII. Chapter VI deals with the “Pacific Settlement of Disputes” and designates the UN as a facilitator of conflict resolution. Chapter VII deals with “Action with Respect to Threats to the Peace, Breaches of the Peace, and Acts of Aggression” – an altogether more serious matter. Resolutions made under Chapter VII are enforceable as international law; those made under Chapter VI are essentially declarative and unenforceable. This resolution, number 2334, was made under Chapter VI, and is therefore unenforceable. Even if the legal implications of the resolution have been overstated, the political and diplomatic problems caused by it are real. But they are not new. For decades, the overwhelming majority of countries in the world have, at least formally, viewed Israel’s building over the “Green Line” as illegal under Article 49 of the Geneva conventions. This is a view that is at odds with every Israeli government, regardless of its political color, since 1967. 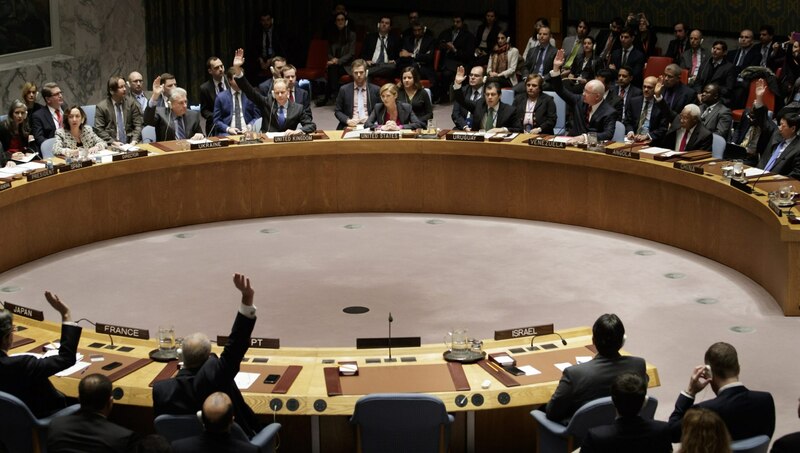 The significance of this vote is that the US, Israel’s closest ally, allowed the world body to make another statement of its well-known position when it could have stopped it. Without minimizing the degree of betrayal by the administration in forsaking its oft repeated commitment to “having Israel’s back,” we should bear in mind that it stood by that commitment for almost eight years and that even presidents widely accepted as “pro-Israel” – such as Ronald Reagan and George W. Bush – both permitted and sometimes voted for anti-Israel motions at the UN. It’s also true that Obama championed the new strategy of relaxed sanctions on Iran, opposed by most Israelis as a potential existential danger to the Jewish state. As I write this post it is still to be seen whether withholding the US veto is a parting shot or a harbinger of further hostile policies. With only three weeks to go of the current administration it cannot indicate a long-term shift in policy. Who else is bad (and why don’t we care)? Referring to the UN’s inbuilt anti-Israel majority, Abba Eban famously said, “If Algeria introduced a resolution declaring that the earth was flat and that Israel had flattened it, it would pass by a vote of 164 to 13 with 26 abstentions.” All that has changed since his days at the UN are the reduction in numbers of abstentions. What leaps out of the list is that countries with which Israel has excellent relations (like the UK, China and Russia) not only failed to veto the resolution but voted for it. Yet all the initial outrage and feelings of betrayal were focused on the US. Why? Quite simply because we have come to expect almost all countries, even our close allies, to adopt a common front with the Arab and Muslim states, as long as the resolution is merely declamatory. I find this tolerance for hypocrisy distressingly similar to the “racism of low expectations” in which most of the world doesn’t expect Arab and Muslim states to respect the human rights of their own citizens. Why do we expect so little of some of the most developed democracies in the world? The realpolitik that motivates such votes is obvious. Countries like the China, France, New Zealand, Russia, Spain, and the UK enjoy broad security cooperation as well as trade relations with Israel. Countries like Senegal enjoy trade and economic aid. Supporting Chapter VI resolutions – which are not enforceable and do no significant harm to the Jewish State – may go down well with Arab and Muslim countries, so there’s no downside in supporting them. Apart, that is, from the perpetuation of a delusional narrative of the conflict. How different is it to be an Israeli? The Resolution, as is the norm, refers to “Palestinian Territory occupied since 1967, including East Jerusalem.” As is routine, the international community makes no distinction between the Western Wall and Jerusalem neighborhoods like Ramat Eshkol on the one hand, and isolated Jewish communities in the Territories on the other. That distinction does exist in Israeli political discourse, and there is an almost complete consensus of right and left in Israel that the Old City, the new suburbs around Jerusalem and most of the large settlement blocs must remain part of the Jewish State even if territorial concessions might be made elsewhere to make room for a Palestinian Arab state. Indeed, the consensus is so widespread and deeply rooted in Israel that it literally goes without saying. But ignoring the gap between the way the international community talks about what concessions they think Israel needs to make, and the way Israeli proponents of concession talk about the same issue, is to ignore a crucial issue. A “flagrant violation of international law”? The international community continually speaks in terms of legality. The resolution states that everything that Israel has built across the Green Line – in Jerusalem or outside it – is all illegal. This resolution speaks of settlement activity as being a “violation of international humanitarian law.” It “reaffirms that the establishment by Israel of settlements in the Palestinian territory occupied since 1967, including East Jerusalem, has no legal validity and constitutes a flagrant violation under international law.” That reference to “including East Jerusalem” sounds absurd to an Israeli, but on this point the UN is right, there is no meaningful legal basis to distinguish between rebuilding the Hurva Synagogue in the Old City of Jerusalem (destroyed by the Jordanians) and erecting a contentious settlement in the middle of Hevron. Either both are legal or neither is. When Israelis accept our claim to the Kottel they are (implicitly) accepting our claim on the whole of Judea and Samaria. Yet political opposition to settlement activity outside Jerusalem makes some reluctant to assert the legal right to build. As I’ve written elsewhere, there is a reasonable argument to be had as to the wisdom of Israel’s settlement policy, but when we question its legality we are questioning Israel’s right to rule over what almost every Israeli regards as an inseparable part of our homeland. The principle of framing predicts that whoever controls the conceptual frame controls the outcome of the communication interaction. By refusing to consistently challenge the assertion that any Israeli activity over the “Green Line” is illegal, we have ceded the conceptual frame to those who want to portray Israel as an outlaw state, one who routinely breaks the law and should be held in contempt by rule of law nations. 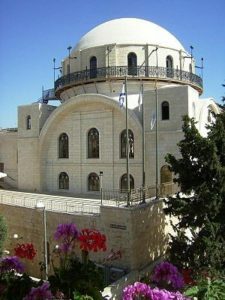 The assumption has become so widespread that even states that count themselves friends of the Jews will go along with declarations that say building in our own capital is illegal. It’s incumbent on all supporters of Israel, regardless of how we stand on the wisdom of the settlement enterprise, to continuously assert Israel’s legal claims to all the Territories, or we will lose our right to any of them. The Western democracies have, on the whole, not condemned the “occupation” as such as being illegal. This in contrast to the Arab and Muslim world who routinely use just this epithet. I agree with all you have said. However, as a UK citizen I would like to know how Theresa May continually stands up and confirms her support and alliance with Israel when the last two UN resolutions the UK government representative has voted against Israel? I have also put the same question to Mark Regev and received a very blurred reply! There is not even one Nation “aganist” the vote, What a tragedy? ISRAEL urgently needs more allies…. Thank you for posting. I completely agree with your evaluation of the resolution and the countries associated with it. Israel has seen much worse times, and this bump in the road is not the end of anything. I am just hoping it won’t serve as an opportunity to escalate the conflict into something much worse.